"Vision 2020. 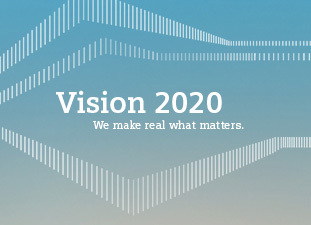 We make real what matters" – this is the lead theme of the 2014 Siemens Annual Report. The report explains Siemens positioning along the electrification value chain and provides a comprehensive overview of the Company's main topics. ''Some industry sectors – oil & gas and food & beverage, for example – are growing at above-average rates. We want to participate in this growth. That’s why we’re bundling our expertise in process industries and drive technologies and continuing to expand our related portfolio of products and software solutions''.